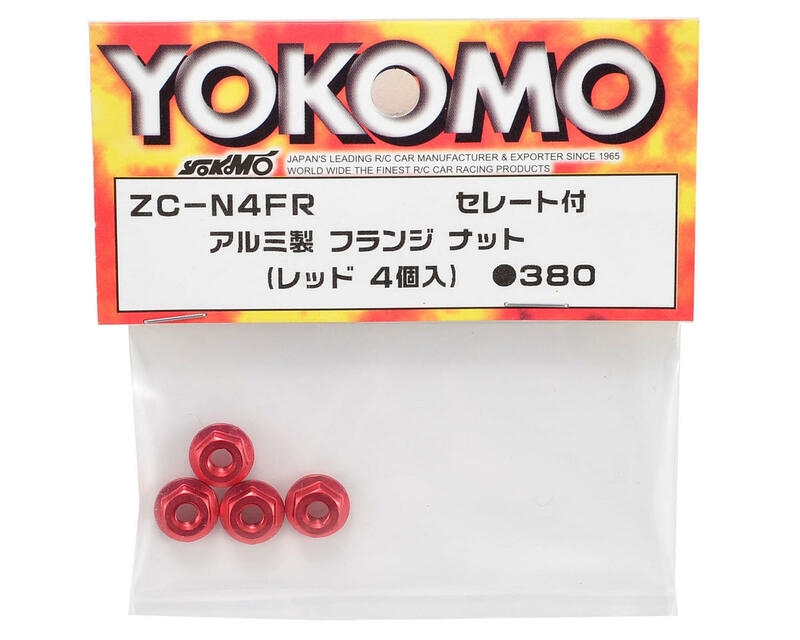 This is a pack of four optional Yokomo 4mm Aluminum Serrated Flanged Nuts, and are intended for use with the Yokomo BD7 1/10 scale touring car. 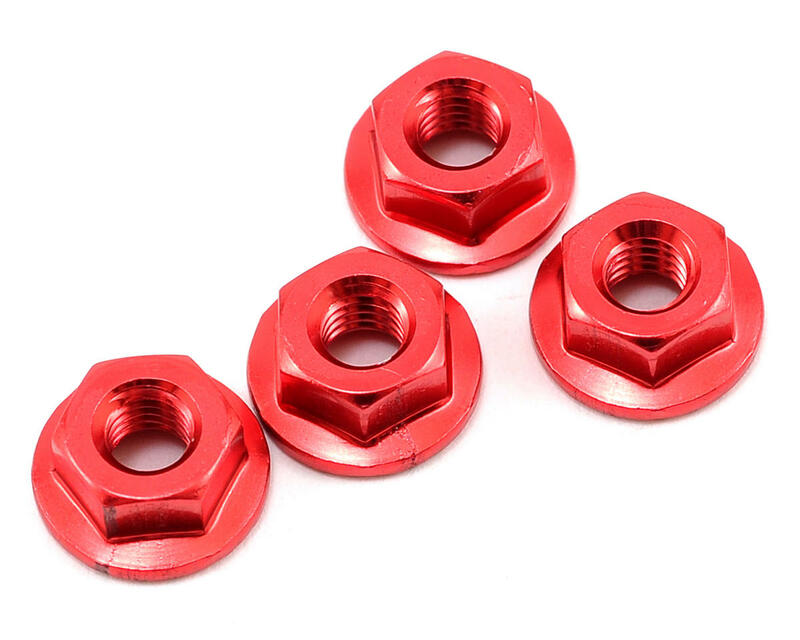 These are not nylon lock nuts, they are serrated on the back side of the flange to lock into the wheel for better security. I've bought these a few times because they really make may rc cars I race pop with a very custom look. I just bought a few more..